Grim Soul is one of the best survival RPGs for Android. It has a deep crafting system and combat is pretty easy, but only if you have the right weapon and armor equipped to your character. The game has an easy learning curve but at times you will feel you have missed something important when you just began playing. Could be resources or something rare or precious you wished you could have saved in one of those peasant chests. This is where you would want to start from scratch. Thankfully, there is a way to reset game progress and it’s very simple. 1. Tap the gear icon on the upper-right corner of the screen to access Settings. 2. Tap “Disconnect”. This will unbind all progress with your device. Press OK.
3. 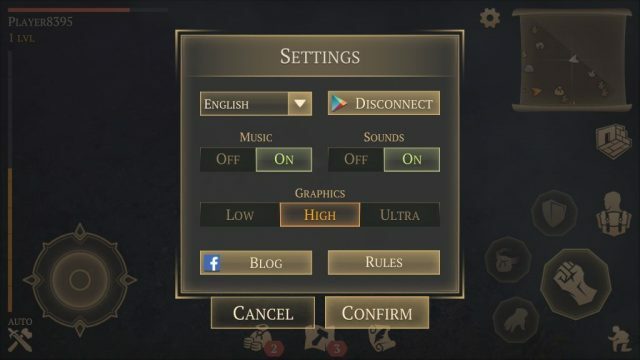 Exit game and go to Android settings. Tap “installed apps” or apps. Tap “Grim Soul” and then tap clear data/cache. That’s it. Open the app again and you have reset game progress.